htprww and 1 Guest are viewing this topic. Thanks for the renders! Got my board ordered for this and ready to go! Thermal and Xeno renders using the spacebar pack. Can you release the PAL code for the white used? Trying to get a perfectly matching cable for this set! WAIT WAIT what is this Thermal thing? can someone link me? 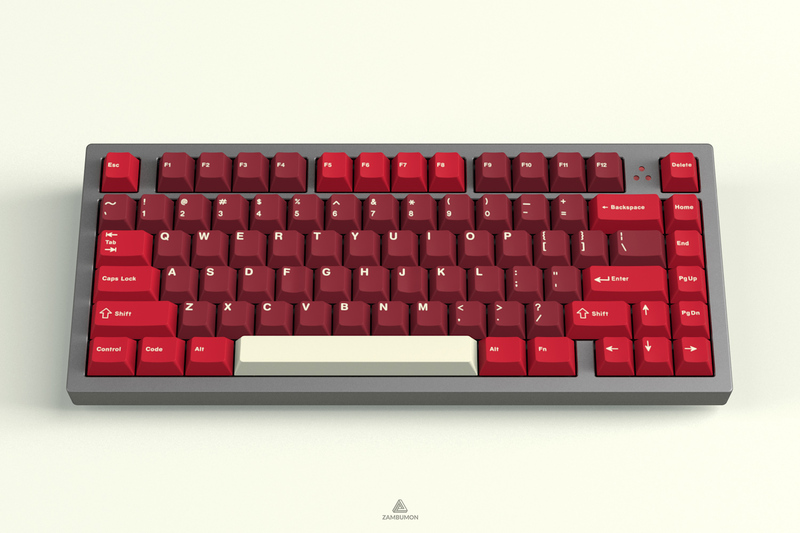 Also, I'm definitely in for this keyset, it savory AF. Though I do wish that novelties had a classic Ham Bone? I know it's not Jamon exactly but I think it registers as a pork product in a way that the Jamon icon doesn't quite. Does that make sense? It's the same as Serika's alphas. There should be a blog post on my site about it (I think it's titled "Serika - Update #4, or Serika - Update #5). Any updates on the box artwork? Not yet, it's too soon to work on it and I'm currently finishing some other stuff. I'll see if this is possible. There's a Christmas break coming up, so updates will be a little bit slower for the upcoming weeks. 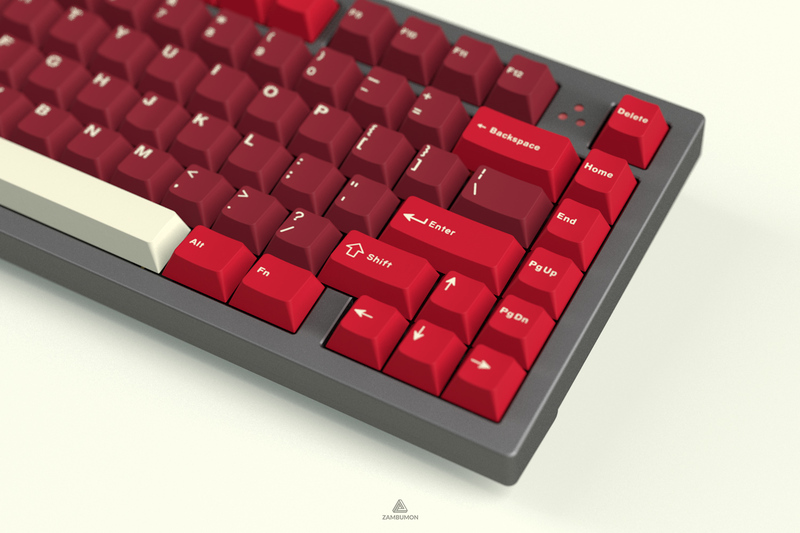 Jamón is coming, and it's coming really soon, in fact, we are more or less over a month away from GMK Jamón's group buy and as before I lock the kits so we can get final quotes, I would love to hear what do you think about the kits, what could be tweaked, what do you like about them... 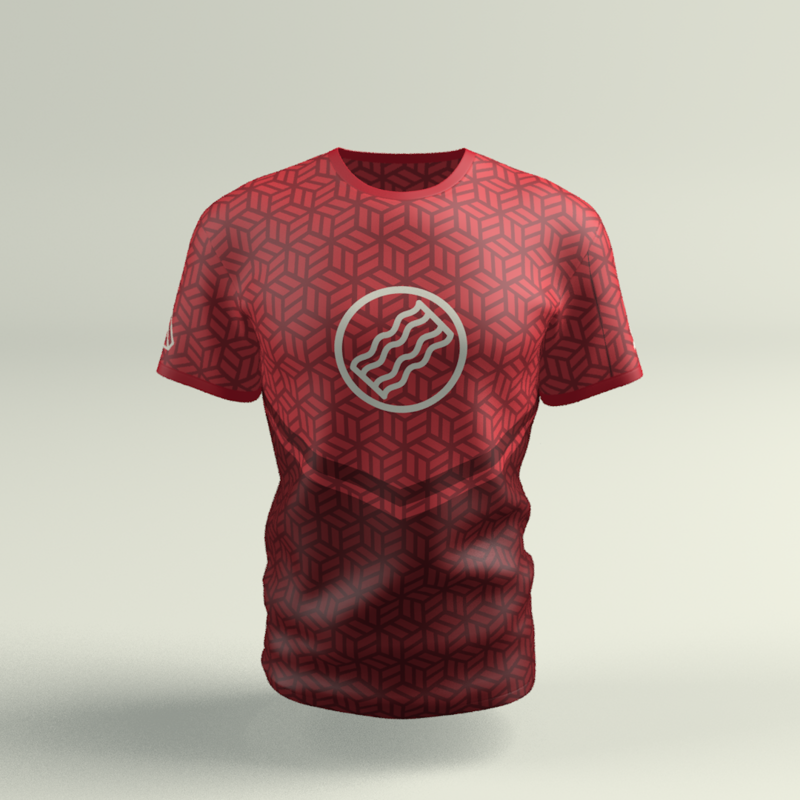 Some of you have already posted here some valuable feedback, which I'll consider when doing some final tweaks, but it's always great to get more ideas to make this set a little bit better. I will be open for suggestions up until January 6th, when kits will be locked. Some notes regarding the kits, which you can check on the project page or the OP. - I am aiming for a $100 or lower Core kit. While this is extremely challenging, I think we could get it done. - Novelties are done, and all the novelty kits will most likely stay like they currently are. While I understand some people would prefer to have them all on a large Novelty kit, I'd like to explore the idea of making 3 or 4 smaller kits that more people could get. The eñe kit should be fairly inexpensive since it is the same key 25 times. - If you voted on Massdrop before the kit overhaul, make sure to update your vote! You can vote here. And while I'm mentioning this, I'd like to thank again everyone that has voted for Jamón so far on Massdrop, specially those that have updated their votes when I posted the kit overhaul. Thanks for supporting this project and making it possible. There has been some progress with Jamón themed collaborations. 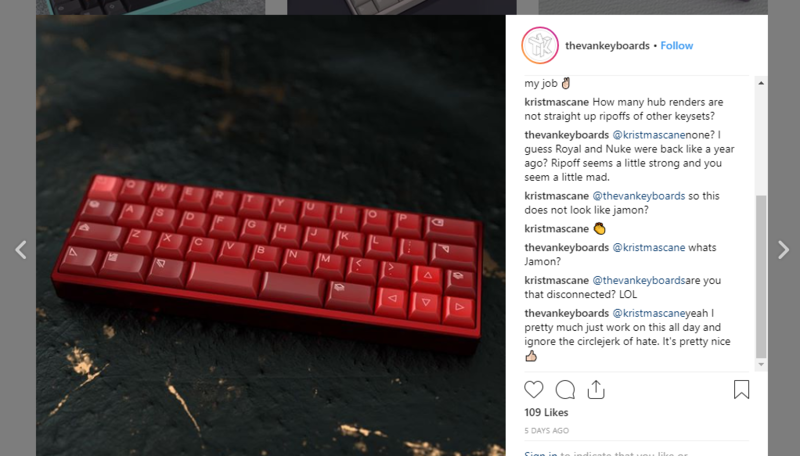 Novelkeys has informed me that the hexagon-red and novelty deskmats are on their way. Mike should be able to take hi-res pics of them soon. I'm also working on some other exciting collab, which will be unveiled soon. I've taken a good look at the kits and I have to say, separating the numpad kit from the core is a great move to keep the core kit price down. 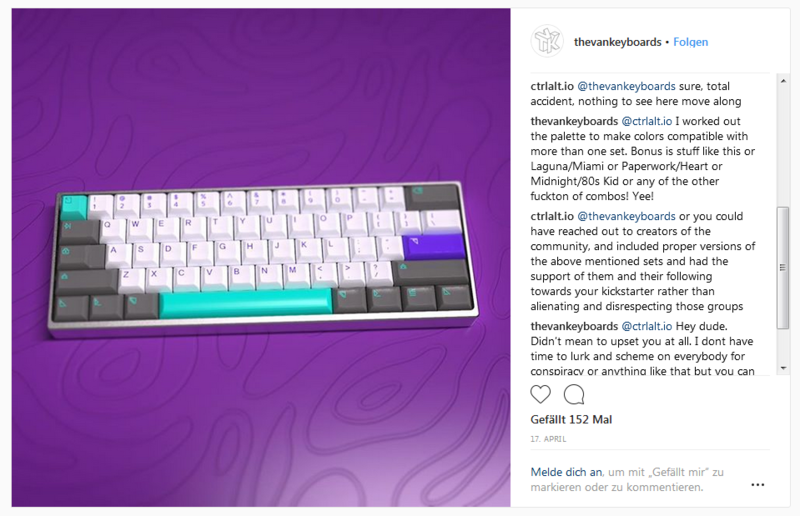 There has been a lot of complaining about the price of GMK base kits lately and hopefully this will alleviate some of that. I got to thinking about what Wilba said early in the thread regarding how putting together a base kit with good compatability can be a challenge. It make a lot of sense, as 40% users are perceived as a minority in numbers. I have believe that this is, for the most part, correct. And if we 40% users, and users of other layouts, don't vote with our wallets when the GB starts then it's our own faults that kits don't meet MoQ. We appreciate the efforts to efficiently create kits that provide for greater compatability, while keeping the costs down as much as possible. I'm also glad that there aren't 2 dozen kits available for this set...better chance for kits to reach MoQ. 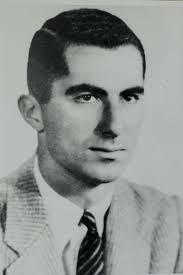 With that said, and before the kits are locked down, I respectfully ask that you please reconsider your stance on the absence of a 1.75u backspace from the 40s kit. I know when I have asked in the past, I have said some things I regret out of frustration. I have to admit that the toxicity in our community is unnecessary and unwarranted. Whatever issues you have with that specific key do not need to be discussed here. What I ask is that you think about us, the fans of your work, and how this makes us unable to outfit the boards we use. The bad blood that surrounds this key needs to come to an end and we all need to move forward as a community. I hope you give this some real thought. Thanks. Mike, this isn't the first time we've had this conversation. I gave it a real thought several months ago. I talked with friends, community members, and other people that have been involved on keyboard projects, and I stand by the decission I took months ago. Community is built on mutual respect, you can like or dislike other community members, and people are free to say that the work I do is **** and dislike all my sets, but at the end of the day those people that dislike my stuff have my respect. The Van Keyboards no longer has it. They have crossed the line not once or twice, but many many times, with me and with other people. There is no copyright that protect any of these colorways, but at least we used to have some kind of respect for other's works. I know we’ve spoken before. It doesn’t hurt to ask. Thanks for the reply and I can respect your decision. > 3 weeks ago, "looks like a cool set"
> 1 week ago "whats Jamon?" Wow. He's not even the one who uses thevankeyboards account. It's 2 different people. I guess this was a false statement. I was trying to be civil about by asking again. I guess you guys can call the mods out to censor this now, as usual. Good luck with the GB. You asked. He said no. Just because you suggest something doesn't mean he has to include it. If I took every suggestion for Yolch, it would support Romanian ISO. Oh, I understand that. It's the way it gets answered that is concerning. Just a whole bunch of hate behind it. If you give another person the login to your instagram to represent your company, you are still responsible for its content. I have answered you always in a civil way here, and in my previous ICs, and I have always explained why I'm no longer supporting their board and you are trying to portrait me as the bad guy here. I don't have any hate for them, just dissapointment. By supporting the Minivan I'm stating that it is OK to support a company that doesn't care and wants to screw over community members. This is not the first time we've had this conversation, this is not the first time you've used the "calling the mods" card when I've never done that, and this is not the first time I've declined and give you my point of view of this situation. Since I'm sure it won't be the last and, if it wasn't clear with my previous responses: I'm going to kindly ask you to not suggest this layout or any other made by that company on any of my future ICs. If you have any other suggestions for any other boards, I'll listen to them. 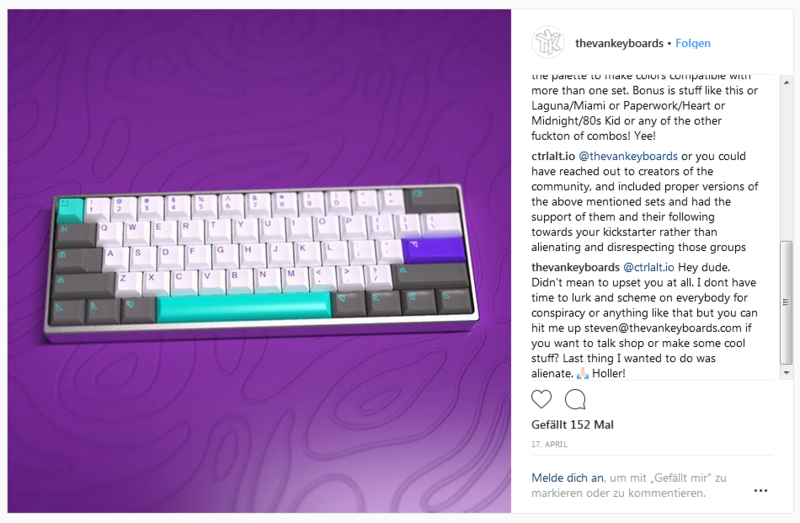 Losing the numpad in the core kit seems like a good step in reducing the cost, excited for this when it's out. Would you consider expanding the pata negra kit to include all or more modifiers? I want to keep the pricing of those as low as possible. 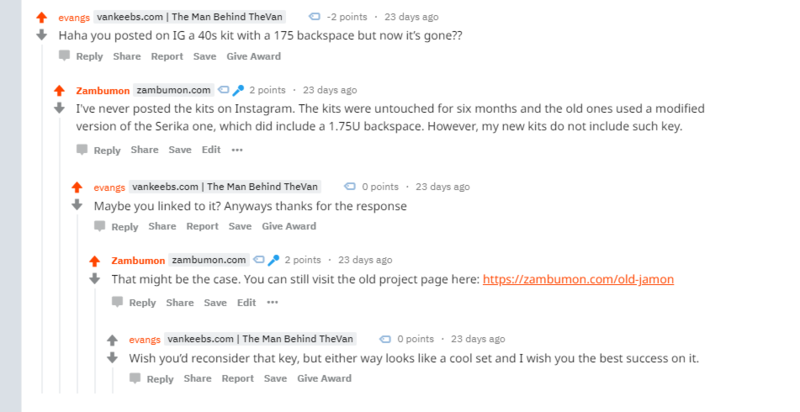 What both of you guys exactly mean with expanding the kit? I think they mean this sort of kit. Personally I never liked the cream accents for the set, the dark gray ones look much better. Would have made them default accents and skip cream ones. Maybe have numbers row in cream to simulate a fat line. We both know how that approach went. Just out of curiosity, not a jab at anything, but how does the acorn fit into the theme of this set? So no chance of modern 1800 support? Would like to see more core sets like this in the future. Good job Zamzam! No problem. Lol. As I said before, good luck with the GB. Nothing this extensive - more just including the other standard modifiers for a 60%/TKL (not the # row or F-row or home cluster etc, just shift/enter/tab/caps etc) to complete the black + red aesthetic. For the whole red + grey aesthetics I would honestly just buy Burgundy. Relevant. This is probably the most expensive Jamon in that store but overall it costs around one GMK keyset. Waiting for this to happen soon. In for base + numpad for usre, other kits depending on pricing. Any idea when to expect it to drop on MD? I know its up for vote, but I am not confident in MD voting as I have seen some good kits with high vtoes languishing in limbo and some get made w/o even coming up for voting. Roughly around February. Voting for the set will notify you once it goes live. I honestly can't remember the last time I was this excited for a set. Everything looks great! 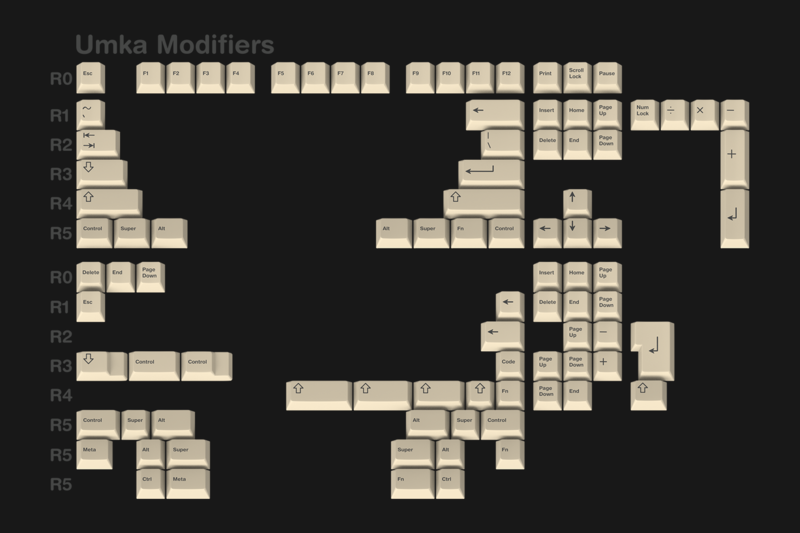 Any chance of split spaces include in either base kit or spacebar kit? 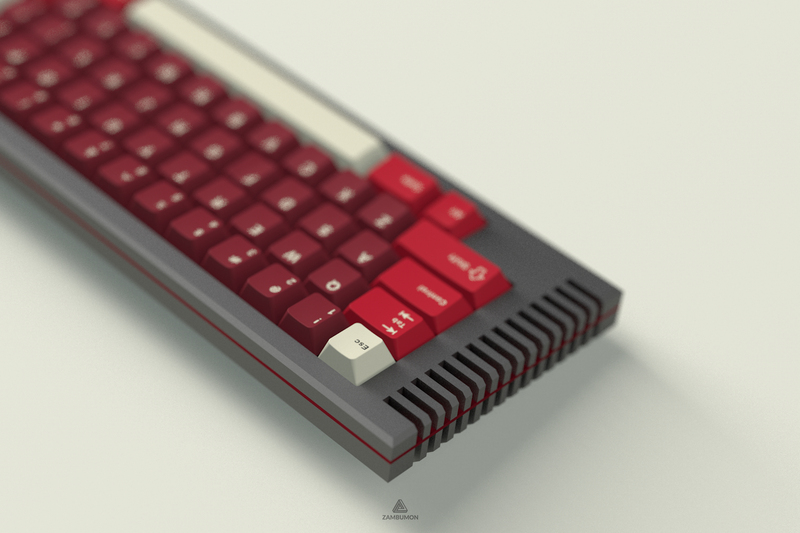 I have included them in the 40s kit because it since it will benefit 40% users and ergo keyboard users (that's why the kit includes a second B, so you could cover an LZ Ergo or the TGR Alice properly). 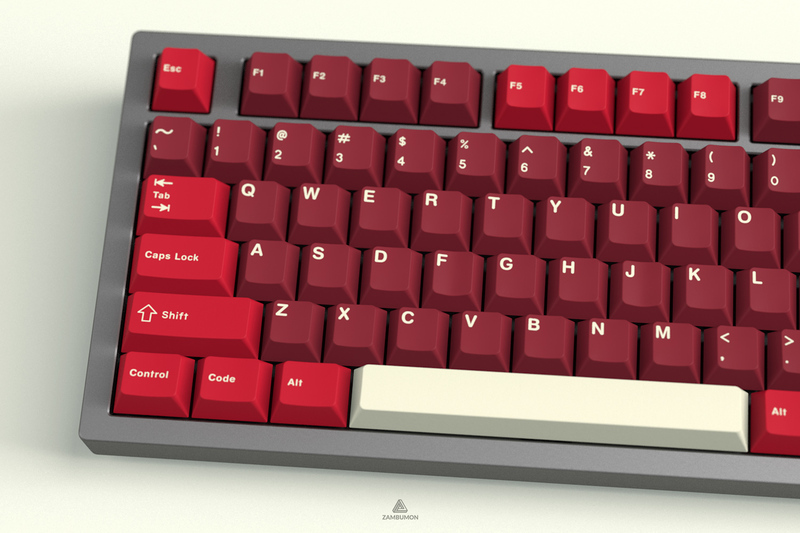 Since the Core kit is smaller, and most people interested on split spacebars use layout smaller than TKL, the combined price of a 40s kit + core should be lower than a standard GMK base set + spacebar kit. 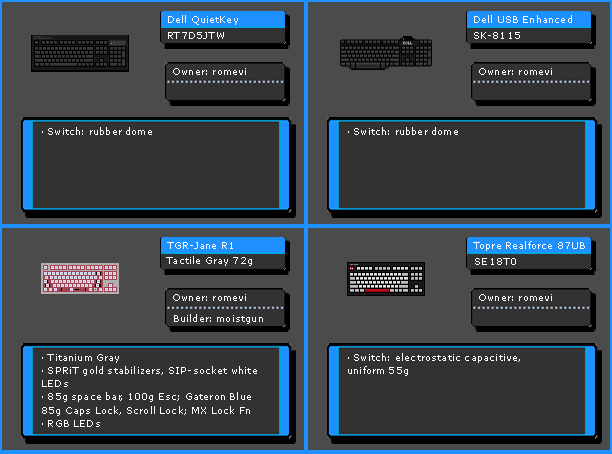 The spacebar kit was going to be just an accent kit, but since I wanted to provide coverage for 6U spacebars, and didn't want to make the 40s kit even bigger (and rename it to something as "extension kit") I put them with the 6.25U and 7.00U spacebars. Thanks for the update. Understandable. I just don't see myself using all the extras from the 40s kit besides those split spaces, whereas I could see myself benefiting from the accent spacebar from time to time. 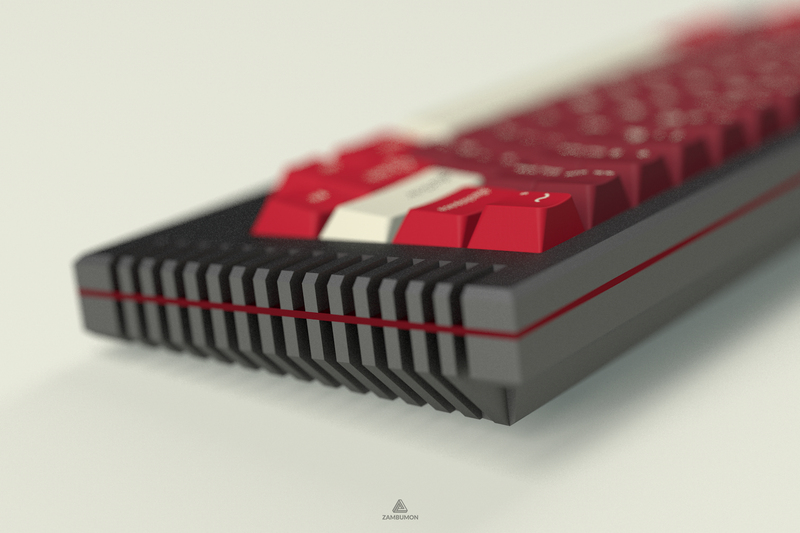 Plus the spacebar kit will be cheaper as well. Do you ever consider including those split spaces in both the 40s and spacebar kit? love your work. I have nautilus, Serika and im planning to get this as well. I'm not that a big of a fan of the cherry profile either. I would love to know if your or someone in your inner circle plans to make an SA version of this ? 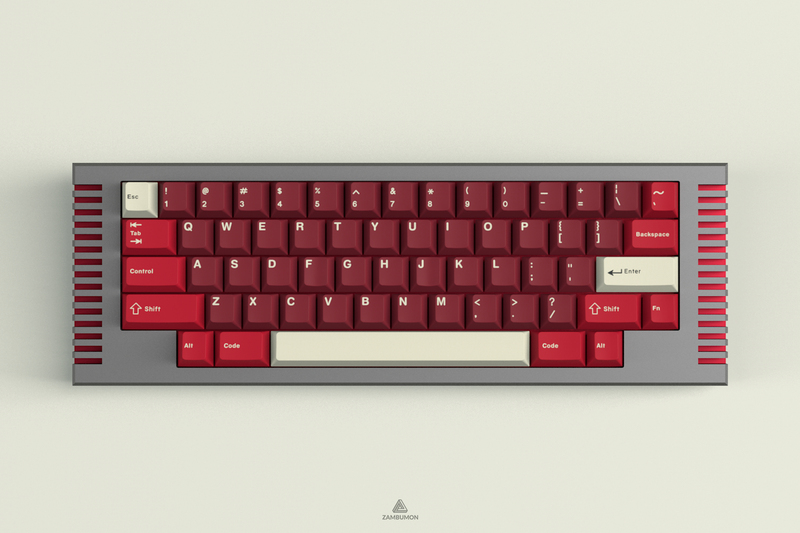 I was so envious when I saw the SA Nautilus - any chance of some SA Jamon anytime in the future? Salty keycap? Hehe. Just thought that it fits the theme. Though adding more salt to jamom will be a bit too much. For an SA version, none. SP still has their classic super long backlog that happens whenever they are making a big set, they aren't as good as GMK when we talk about color matching, and if Nautilus Nightmares and Samurai Blue get done, you wouldn't expect another version of this set to reach the group buy until mid 2020, so you won't have your keycaps until 2021.